Blood red kisses! White hot thrills! Mickey Spillane's latest H-bomb! With 1955’s Kiss Me Deadly, we get a classic film noir. Out on the road, private detective Mike Hammer (Ralph Meeker) almost hits Christina Bailey (Cloris Leachman), a hitchhiker who stops him by standing in the middle of the road. Hammer finds out she recently escaped from a mental institution and desperately needs to get to a bus station in LA. She doesn’t make it. Mysterious – and thuggish – forces trap them; they knock out Hammer and torture and kill Christina. All that finished, the thugs put Hammer and Christina into a car and push it into a ravine. Hammer barely survives and when he recovers, he digs into the mysteries surrounding Christina. If nothing else, Deadly launches with a slam-bang opening. A desperate, semi-naked girl and much violence means a movie that flings itself at us immediately and quickly brings us into its tale. We can quickly tell that this won’t be a chipper, peppy story and that we’ll get plenty of seediness. Which Deadly then delivers, although one shouldn’t expect a particularly concise plot. 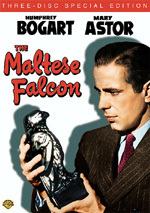 Like other famous film noirs such as Maltese Falcon, Deadly follows the “MacGuffin” concept made famous by Hitchcock in which the object that motivates the plot is really pretty irrelevant. For instance, the titular Maltese Falcon creates a lot of action and intrigue but is essentially meaningless in and of itself. Deadly takes the MacGuffin notion to an extreme since it never actually tells us what the MacGuffin is. We don’t get much of a hint about it until quite late in the film, and it’s never specifically identified, though the clues give us a pretty firm idea what it is. It’s an unusual use of a MacGuffin, as Hammer spends much of the movie dealing with it even though he – and we – have virtually no idea what it is. This makes the story of Deadly looser than usual because the main character is forced to grasp at straws so much of the time. Hammer goes through a ground-up investigation, as he starts with little information and needs to dig from there. We’re at sea along with him, so don’t expect the movie to give us a concise A-B-C narrative. That lack of standard clarity doesn’t mean Deadly threatens to lose or bore us, though. Director Robert Aldrich creates such a stylish, dark world that we remain involved in it at all times. Even when the loose story threatens to cast us adrift, we’re still interested in Hammer’s universe and what’ll happen to him next. Meeker’s turn as Hammer helps. He makes the lead character a pretty unlikable character, one without much of an ethical code or a lot to redeem him. He’s a real “what’s in it for me?” kind of guy, and though that makes him unsympathetic, it doesn’t mean he’s uncompelling. Instead, Hammer’s lack of a moral center means he’s something of a wild card and more interesting due to that; we’re not quite sure how he’ll react to various situations, so we’re more engrossed. Meeker fills out the role in a manner that never asks us to like Hammer and seems convincing. Deadly would go down as a memorable film noir no matter what, but the film’s third act takes into decidedly unusual territory. I don’t want to spill too many beans, but once we get a better idea of what that MacGuffin is, the movie treads truly weird ground. While this could’ve set the tale adrift, instead it adds punch to the tale. It allows a good film to become inspired. None of this makes Deadly my favorite film noir – I’m awfully fond of Falcon - but these factors do allow it to become a very good flick. Stylish, tough and occasionally kooky, the movie takes us on a memorable ride. 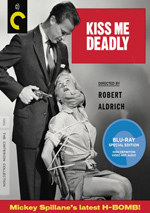 Kiss Me Deadly appears in an aspect ratio of approximately 1.66:1 on this Blu-ray Disc. This was a constantly positive presentation. Across the board, sharpness was good. Occasionally, I saw slightly soft elements, usually during semi-dim interiors. 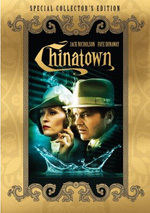 Nonetheless, most of the movie exhibited nice clarity and definition. Jagged edges and moiré effects remained absent, and I saw no signs of edge haloes or artifacting. With a natural – and non-intrusive – layer of grain on display, I discerned no problematic digital noise reduction, and source flaws weren’t a factor. A few minor blemishes cropped up along the way, but nothing notable occurred. Blacks were fairly deep and dark, and contrast appeared positive; the movie didn’t boast the most dynamic silver sheen, but that side of things still looked fine. Shadows offered good clarity. Like I mentioned earlier, a couple of those shots were a little soft, but they came with nice balance Overall, this became a nice transfer. As for the monaural soundtrack of Deadly, it seemed fine for its age. Speech could be a little brittle, but the lines were always intelligible and reasonably warm. Music showed decent to good range and clarity; the score displayed more than adequate vivacity. Effects sounded acceptable. This wasn’t a movie that presented much more than general ambience, so the track didn’t have much to do, but these elements were reasonably clean and distinctive. Source problems weren’t a concern, as the mix lacked distractions. Given the limitations of the original material, I felt this was a more than adequate soundtrack. Like most Criterion releases, this one comes with a good set of extras. We open with an audio commentary from film noir specialists Alain Silver and James Ursini. Both sit together for a running, screen-specific chat about visual choices and the work of director Robert Aldrich, cast and performances, story, character and adaptation issues, sets and locations, influences and reflections of its era, and a few other topics. I’ve heard a few other commentaries from Silver and Ursini, and this one falls into line with those. They tend to go for a broader historical/interpretive/genre perspective and don’t often get into nuts and bolts about the film’s creation. Actually, this track probably digs into the making of Deadly a bit better than expected, but it’s still a piece that usually focuses elsewhere. While I do like to get more concrete info about the flick’s creation, I still like this commentary. It delivers quite a few good insights about the movie and its era along with other useful tidbits. The piece moves at a good pace and turns into a solid chat. For notes from a filmmaker influenced by the film, we go to Director Alex Cox on Kiss Me Deadly. In this six-minute, 38-second program, Cox discusses aspects of the movie and its influence. I would’ve liked more on the latter subject – Cox alludes to the flick’s impact on his own Repo Man - but this is still a tight, interesting chat. Next comes a 1998 documentary called Mike Hammer’s Mickey Spillane. It lasts 39 minutes, 38 seconds and offers notes from Spillane, authors Sara Paretsky, Gary Warren Niebuhr, Jan Grape, Martin H. Greenberg, Miriam Ann Moore, Stephen Marlowe, Michael Collins, Lawrence Block, Joe Gores, Paul Bishop, Parnell Hall, Loren Estleman, Maxim Jakubowsky, Walter Mosley and Gar Haywood, Mysterious Bookshop owner Otto Penzler, Dutton/Signet associate publisher Michaela Hamilton, actors Lee Meredith, Shirley Eaton and Stacy Keach, cartoonist Terry Beatty, film historian Leonard Maltin, TV producer Jay Bernstein, and Mystery Writers of America “Grand Master” Donald E. Westlake. The show offers a look at the life and career of Hammer creator/writer Spillane as well as thoughts about the Hammer character and series. The program gives us a solid overview. It’s especially good to hear so much from Spillane himself, as those moments provide a nice mix of info and fun stories. The documentary delivers an engaging and informative piece. “Spillane” comes with a “Postscript” from its director, Max Allan Collins. This provides text that gives us some personal thoughts about his relationship with Spillane. It’s a nice cap to the documentary. We follow this with excerpts from a documentary entitled The Long Haul of AI Bezzerides. 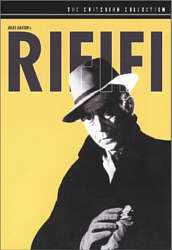 This section runs nine minutes, 14 seconds and provides statements from Spillane, screenwriter Bezzerides, and authors Barry Gifford and George Pelecanos. The participants discuss elements of the Deadly movie and their thoughts about it. Bezzerides and his enormous eyebrows deliver the most info, as he gets into his take on the material, but we also hear Spillane’s disdain for the flick. All of this comes together for an interesting reel. For the final featurette, we get the seven-minute, six-second Bunker Hill Los Angeles. It includes narration from writer/actor Don Bajema as he gives us background about various locations seen in Deadly. It delivers useful details about the spots. “Locations Today” goes for one minute, 45 seconds as it alternates between movie shots and the same spots now. It’s a quick but fun comparison. In addition to the film’s trailer, we find an Altered Ending. It goes for 21 seconds and shows a poorly edited version of the existing conclusion. Never meant to be seen by the filmmakers, it makes it look like some characters die although they appear to survive in the approved edition. It’s a weird footnote. In addition to the film’s trailer, we get a 20-page booklet. It delivers an essay from film critic J. Hoberman and a 1955 defense of the movie from director Robert Aldrich that appeared in the New York Herald-Tribune. As always, the booklet adds a classy touch to the package. A film noir with some odd twists, Kiss Me Deadly holds up well after almost six decades. Not everything here succeeds, but it works most of the time and is an interesting journey. The Blu-ray comes with pretty good picture and audio as well as a fairly nice set of supplements. Both the Blu-ray and the movie are winners.